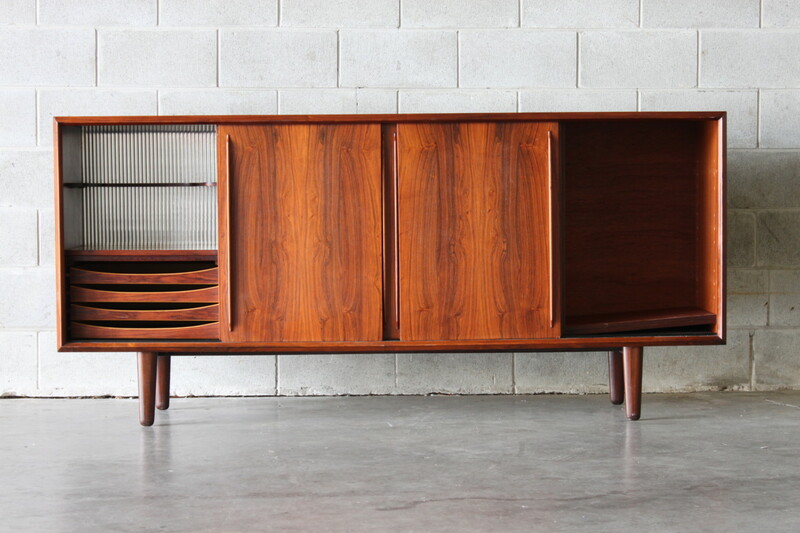 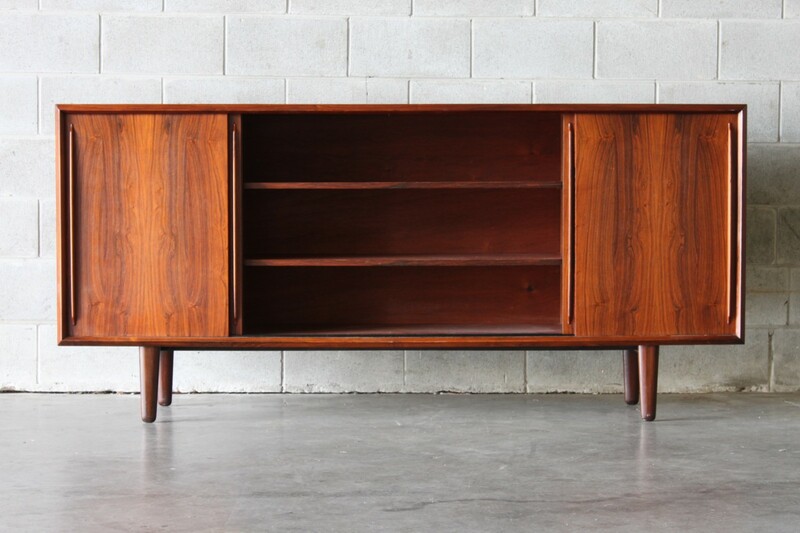 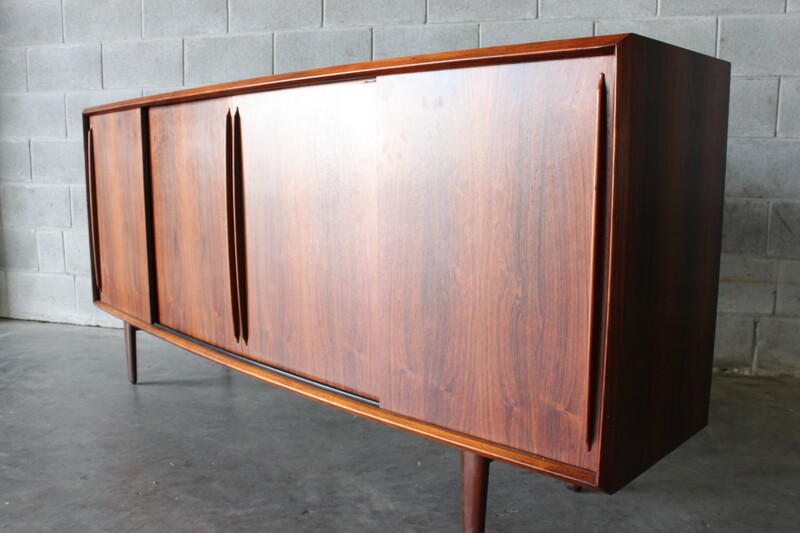 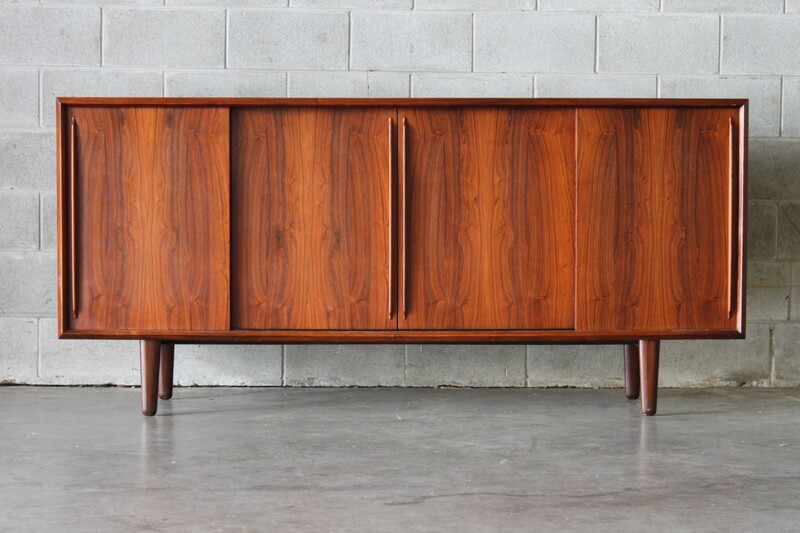 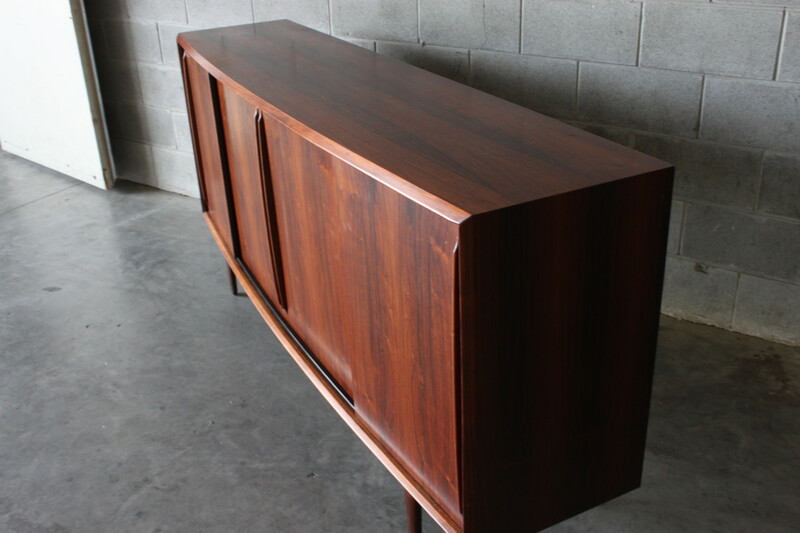 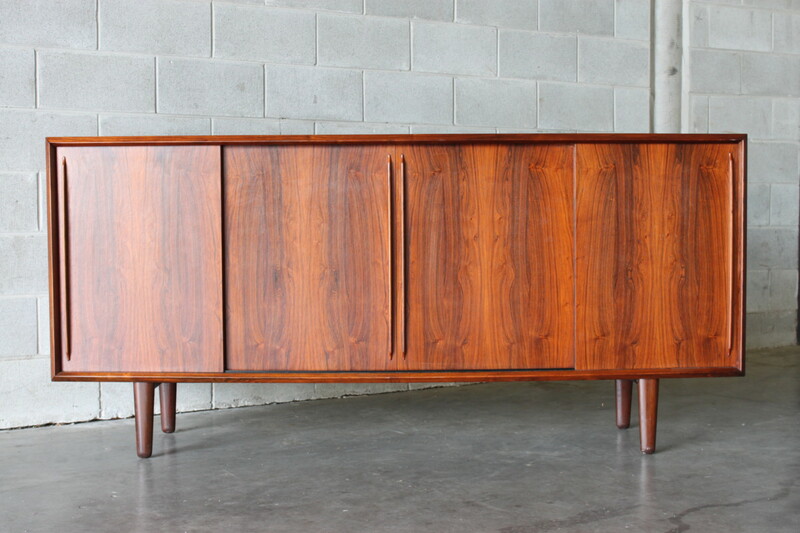 A bow front Brazilian rosewood sideboard by H.P Hansen. 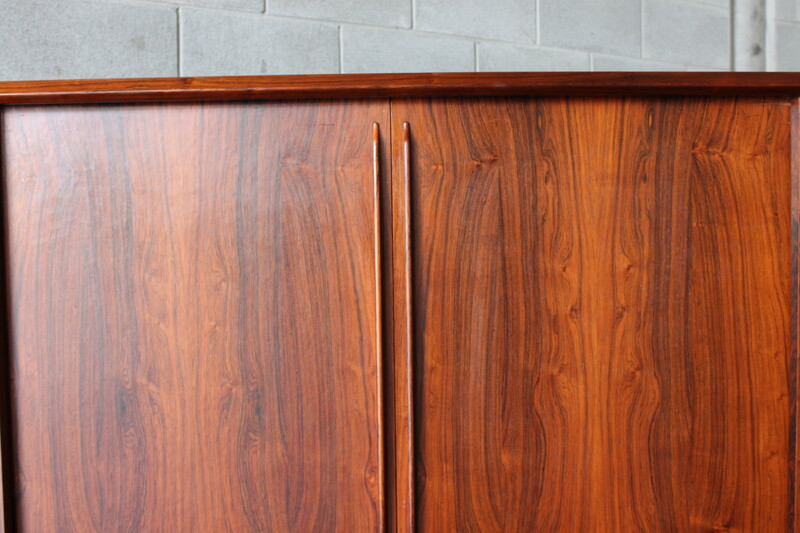 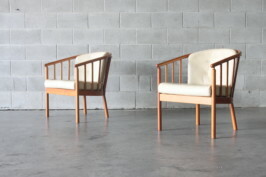 It is a sophisticated piece with book matched door fronts and nice beveled edges and long slim handles. 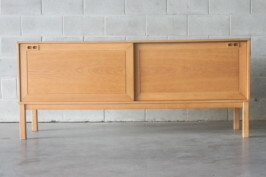 Adjustable shelving internally and pull out drawers to the left hand side.